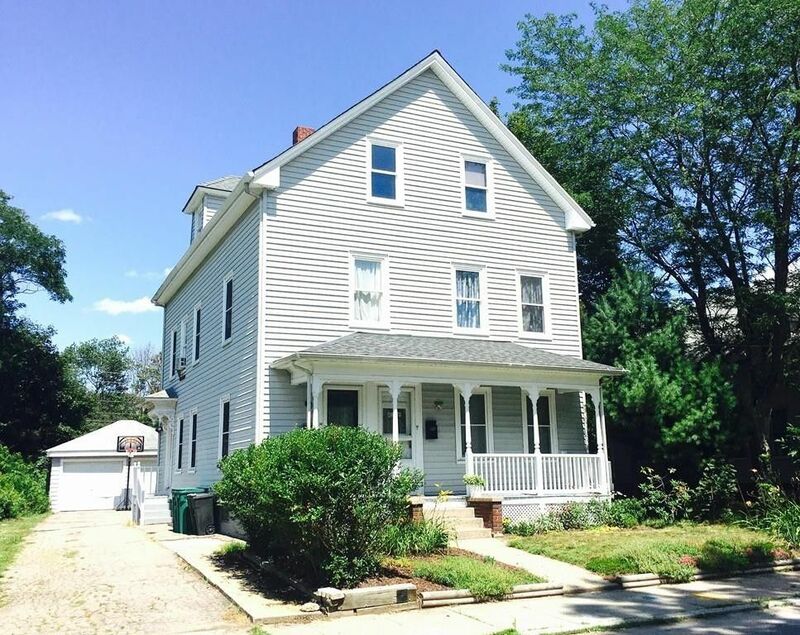 Fantastic two family just listed in Attleboro! This home has a terrific layout. You have a large unit on first floor with two bedrooms, kitchen with separate dining area and livingroom. And then the second floor unit is 'townhouse' style with an added third level of finished living space. This second unit is very spacious with 2 bedrooms, kitchen with seperate dining area, livingroom and then additional 2/3 bedrooms, office and maybe a familyroom on third level too! Both units also have nice hardwood floors. The large, fenced back yard has plenty of room for a garden, patio or play area for kids. There is also a two car garage, full basement and a welcomimg front porch... come take a look! First showings available by appointment on Saturday! Directions: Pleasant St. to Angell St. to Foley St. or Starkey Ave. to Kendall Ave. to Foley St.